that can bring all of your ideas to life! Let us manage your website so you can do what you do best! If you are looking to build mobile websites, Android or iPhone Apps, we can help! We offer a hosted mobile website or App, or a 2-in-1 Responsive Web Design in Toronto! Design Toronto Web DTW is a proven web development agency. We have a strong passion for anything related to web design. We are the leaders in HTML5 flash animation. 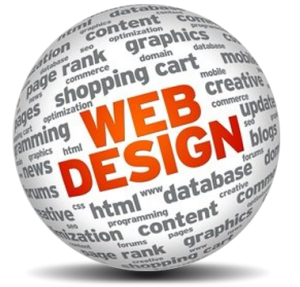 Design Toronto Web serves its clients by sharing its industry leading web design skills. From creating logo designs to building custom modules for your open source site, we can serve you in all areas of your web design needs in Toronto and the Greater Toronto Area. Get the help you need to improve your brand. Web design are two simple words that hold a lot of meaning. While you need to have a great design, it’s never only about having a nice design. It is an important part of your brand strategy so your web design needs to be carefully crafted to represent your brand, your company values. Also today, most websites are no longer static. You need to add functionality to your website for a strong user experience to occur. Let that be through animation or interactive quizzes etc. The design and features of your website will help to manage your online brand. Better online reputation by an expert web development agency will help to earn better revenue. Get the most return on your investment. The web design is not a simple design it is a carefully created artwork. Why reinvent the wheel? There are many open source good quality content management system out there. There is an enterprise level ecommerce software also available in open source. Let our Top Toronto website developers at DTW holding various academic degrees help you utilize these open sources and build you cost saving systems. Our staff are skilled to support various open source website software. Joomla, WordPress, Drupal or Magento to name a few. 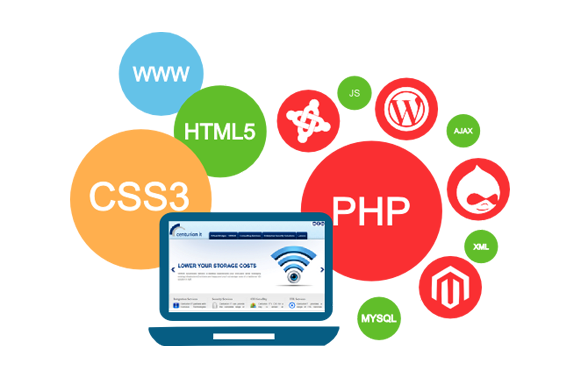 We help companies reduce web development cost by using such popular system. We can develop custom extensions to add on to existing platforms to limit the costs of your web development project. Whatever the hurdles you are facing with your open source website, we can help. Are you looking to create a unique animation? Or an HTML5 game for your clients or employees? Our web animators can help you. Flash animation is a thing of the past today. MOst popular browsers will not display flash animation by default. These browsers are encouraging faster loading HTML5 animations. We are now making complex animation in a mobile responsive format. HTML5 is great. It is very flexible. It’s not specific to a single use case. More importantly, it’s now found at every corner you turn. Let us create some fun games for you in HTML5. Impress your clients with original design work and putting it into a dynamic system to save scores or other related data. A website without traffic is like a work of art without an audience. There is no-one to see it and value it. More crucial though is that there is no one to buy the goods or services featured on the site. Search engines, such as Google, rank websites on the basis of an ever changing pattern that measures many points. Successful SEO requires years of experience. Experience that can help keep up with various search engine algorithm updates. Our expert knowledge on how the search engines work can be to your benefit. If you think you could perform SEO on your own, you will see how fast you lose monies without results, you simply would not know all the parameters required for successful SEO campaigns. Let us help you bring quality leads to your business. Design Toronto Web DTW Uses Mobile Responsive Web Design to Reach All Devices. Web Design Toronto Company DTW can develop a website that improves your branding, online reputation. Generate revenues. WordPress is the most popular content management system today. We have built many large websites using WordPress as its base platform. We can purchase a commercial plugin and customize extensively to meet all your requirement or simply create custom plugins to carry out the tasks you need done by the website. Numerous available plugins can make your website be vert cost-effective. Joomla is the 2nd most popular content management system. It is a little less user-friendly than WordPress but more robust. Joomla should be used for medium-weight websites and only if website administrators are not too Internet savvy. For heavy-weight sites, Drupal would be more desiered. Design Toronto Web DTW employs Joomla experts who can efficiently use Joomla for your website. Drupal is the most popular choice for expert web developers/programmers. It has some built-in plugin development kits that can revolutionize web development. It can make large-scale web development efficient and cost-effective. While we can use 3rd party application builder extension such as Fabrik or K2 in Joomla, Drupal’s built-in CCK is much superior. Also, more frequently used in Government projects. Magento is an open source ecommerce management system. This is the best open source ecommerce system out there today. If you would need any custom development work for your shopping cart, Magento may be the most expandable system for the purpose. Sure you could go with an apparent cheaper hosted ecommerce solution but if you need to add anything custom to system as Shopify or Bigcommerce, cost may be very high. They do have a low monthly cost but you never really own the websites. If that’s okay with you, these are some very good solutions as long as you do not require any custom development work done on your site. As they have their own proprietary framework, custom development would require more time than downloadable software. Design Toronto Web can design custom or customise an available a theme for you. WooCommerce is a shopping cart add-on for WordPress websites whereas Virtuemart is for Joomla. If you only have few products to sell, need a light-weight solution, these may be some very cost effective solutions. Add these plugins to core WordPress or Joomla to get seamless experience. Turn your regular WordPress or Joomla website into a money making machine. Let the Woocommerce experts at Design Toronto Web Woo you! All our work come with 30 days of free support. Any bug in our custom task reported within 30 days of the task performed will be fixed at no extra cost. We mostly use open source software that have been tested by millions of users so not much to worry about anyways. Recently I needed a HTML5 interactive animation app for a trade-show booth. I had a very hard time finding a company who could do what I needed. The ones who could asked for very high rates until I found DTW. They did an amazing job though there were some little caveats which is to be expected as not all browsers render HTML5 the same way. Delivered App was great for our purpose however. Customer service relations was good and professional throughout the process. Highly recommend these talented guys. I have a Magento website to sell bread and desserts online. As my bakery only deliver to certain areas we needed a custom extension to handle our delivery system/charges. My original developer built the site okay but failed to customise it according to my specific needs. I looked high and low and found DTW team. So far they have well exceeded my expectations. Highly recommend DTW to Magento website owners. Our Wordpress site got hacked a couple weeks ago and our webhost suspended the website because of malware. A good friend referred us to DTW and we are glad that he did. DTW downloaded the infected site, upgraded the wp version then pulled the theme and database out of the wp install and put in a new install of Wordpress to make sure there are no hidden hack codes anywhere and all in a very little time and budget. They have earned our loyalty. I run a small home-renovation company. I have a little bit of programming knowledge so I had built a Wordpress website myself and installed some plugins. Site was not too bad. However, I soon figured out I could not get the plugins to do exactly what I need and my programming skill was not good enough to write a custom plugin myself. So I Googled for Wordpress web developers and I found DTW. They built me a custom plugin that helps my employees log their time into the system so I can send out invoices to customers through emails. They also helped me to speed up the site load-time. Even though I never met with the team in person, they were in constant communication through email, phone and web conferences throughout the development process. I am very happy with them and highly recommend to anyone who needs help with their Wordpress websites. I will get my Quickbooks plugin built by them as soon as I can create a budget for it. Thank you DTW. I run a small printing company and initially hired a company from China to add an online printing price calculator to our website. After trying to deliver for months they failed is when I hired DTW to do the same task plus to put our entire static website in Drupal as my research said it would be the best CMS for such demanding work. DTW has made us a mobile responsive website that does the calculation according to the formula I provided them with perfectly! It took longer than anticipated as the price calculating formula was much more complex than it looked also as we changed the formula quite a bit along the way but we are very happy with the outcome. I highly recommend DTW for any custom mathematical widget or extension for Drupal. I am a skilled tradesman and normally, I get all my business through referrals. Since I don't get a lot of my customers asking to see samples of my previous work, I thought it may be best to put them on a website so I can show them to the refers as well as maybe get some new business. I found DTW by searching on Google. I contacted a gentleman named Ray who was a tremendous help. Not only did they built me a nice but inexpensive Wordpress website, Ray also took the time to teach me how to market myself over the Internet. I was previously clueless as to how it all worked. Very helpful guys! Two thumbs up! Design Toronto web is totally rad. We have an old Joomla 1.5 site that uses a web service to acquire current rates from a local bank API. We needed to add couple more dynamic pages to the site but to our surprise, first few companies we hired failed to deliver. Turns out it's not such a simple task after all like we thought and php version used being obsolete adds to the complexity so only very few well qualified companies could do these type of work. We found among the few companies we contacted that the Design Toronto Web team was the most affordable. They completed the task successfully and on time. We will be engaging their services for sure when we want to upgrade our Joomla version to the latest one. They are top of the line and I'll recommend them any time of day! DTW team is really good. My site was seriously outdated and used a very old version of Joomla, however, had quite a few custom extensions to display custom data that I have collected over years. DTW developers upgraded Joomla to the latest and upgraded all the extensions including the custom ones. Throughout the project they communicated the issues with me very well. Thanks to have found this team of Joomla experts. They have earned my loyalty.